CLOSEOUTS. 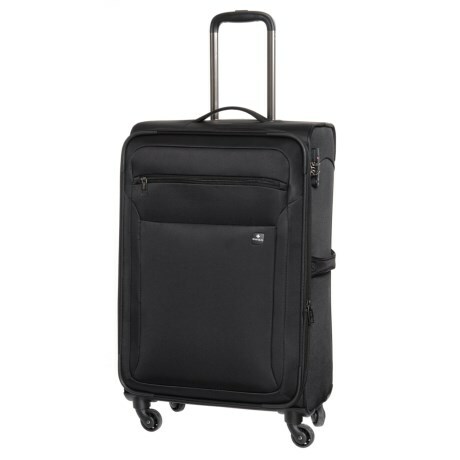 Swizaand#39;s Eventual spinner suitcase carries your long-trip essentials in a compact yet spacious space that expands by two inches and conveniently rolls through the world on four sturdy wheels. Available Colors: BLACK.